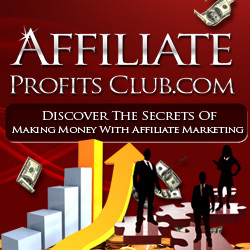 You are here: Home / Make Money Online / AdLink Units: Are They Worth It? When Google first launched AdSense, there was some skepticism from publishers. As much as most people were blown away by the idea of ads that were targeted to the content of a Web page there was the question of whether users, used to banners and skyscrapers, would click on something that looked so different. Boy, were those doubters wrong! AdSense has more than proved its worth to advertisers, users and publishers. A similar sense of skepticism greeted Google’s launch of AdLink units. With nothing more than a list of links (which then lead to the ads), these units contain even less information than a traditional AdSense unit. And the user has to click twice before the publisher gets paid. That makes them sound about as welcoming as a winter barbeque in Siberia. It took a while for publishers to discover that actually AdLink units weren’t as bad as they looked, and that with a smart bit of positioning they could actually take advantage of the way some pages are laid out. In fact, for some designs, they were able to reach parts that other AdSense units just couldn’t reach! And best of all, publishers quickly discovered that once someone clicked on an AdLink unit, they would almost always click on the ad that followed. That did their revenues the world of good and removed the two-click doubt. The old AdLink units then were effective, but fairly limited. They were great if you knew the one or two places on the page to use them but not so good if you didn’t. Recently though, Google has launched horizontal AdLink units that have taken these ads into a whole new realm. Because they fit neatly across a page they’re useful for a much broader range of page designs and are much more flexible. On the other hand though, they’re now competing for space directly with the traditional ad units, making it even harder for publishers to figure out which ads to place where. Is all this good news for publishers or bad news? It’s great news for savvy publishers who have more tools to maximize their AdSense revenues (and know what to do with those tools) but it’s bad news for people who don’t make the effort to learn how use AdSense – and now have more ways to miss out.